Figure 1. 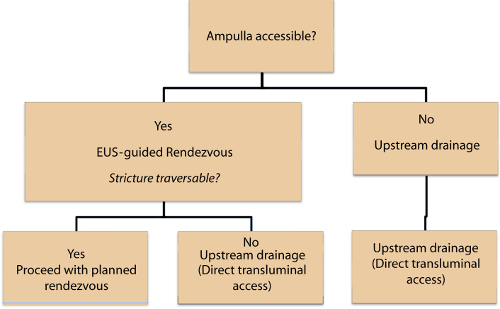 Approach used for technical performance of EUS-guided biliary drainage. Find the article abstract online here. The problem related to these quite new procedures is well presented by the very small numbers performed over years. This procedure is technically difficult, there are no specifically designed devices to be safely used to overcome and reduce the incidence of complications and more over and more important there have been non RCT’s comparing the standard radiological procedure (PTC) with the EUS guided procedure. 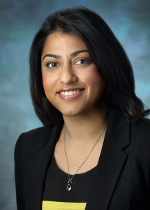 So until there will be published data showing a clear benefit of EUS procedure over radiology the vast majority of hospitals will continue to perform the standard technique leaving to EUS only cases with strict indications.